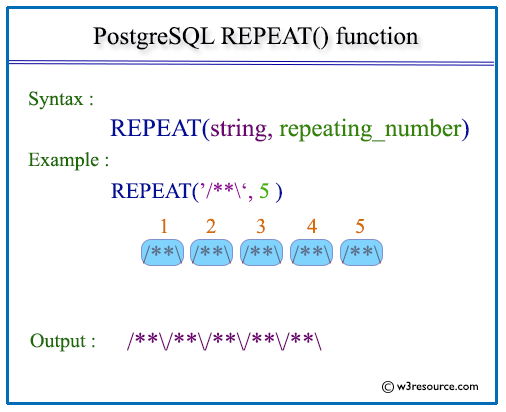 The PostgreSQL repeat function is used to repeat a specified string to a specified number of times. In the example below, the specified string 'test__' and '*--*' have repeated 5 times each. The example below returns a format using repeat function. Here in the example below the first_name and last_name have concatenated and a string has been concatenated after repeating a specific time from employees table for department_id 100.